What’s the Difference Between Legal Custody and Physical Custody of a Child? Child custody is often a primary issue in a divorce. Defining a parenting plan with your spouse to determine custody can be a real challenge, especially if it’s a high-conflict divorce. In some cases, the court has to make a ruling about which parent will be responsible for the kids or how responsibility will be shared between parents. If you have children and are getting a divorce, it’s important to understand how custody works in Washington, including the difference between legal and physical custody, how to resolve child care disputes after the divorce, and how to get legal help. Either one or both parents may be granted legal custody, depending on the specifics of the situation. The court will always try to rule about legal custody in such a way as to benefit the best interests of the child over everything else and will take many factors into consideration when doing so. A judge will consider child abandonment, drug or alcohol abuse, domestic violence or abuse towards the child or others in the household, how involved each parent has been in the child’s life overall, and other related issues. Physical custody is simply which parent the child lives with, either full-time or part-time. It is determined by a residential schedule that is spelled out, in detail, in the parenting plan. It’s very common for both parents to share legal custody, with one parent maintaining primary physical custody and the other having secondary physical custody. Time may be divided between parents equally, or one may have custody for a larger percentage of time. After a parenting plan has been made and approved by the court, both parents are expected to abide by it. If there is a special occasion or other situation that requires changes to the residential schedule, your parenting plan should have worked out in advance how such conflicts are handled. Usually, this is done by a simple agreement between parents to exchange times or dates to accommodate events such as vacations, camps, school trips, or other travel needs, or for special days such as birthdays, anniversaries, and other celebrations. If you’re encountering more and more issues with the parenting plan and you feel the needs of the child aren’t being met, it may be time to ask for an alteration. This is done with a motion to the court and a decree in which you explain why you want such a change and why it serves the bests interests of your child. Failure to adhere to the parenting plan can result in a contempt of court charge against the parent. This can lead to fines, mandatory parenting classes or counseling, and a regular schedule of monitoring to ensure the plan is followed in the future. The court may also decide to make a modification to the parenting plan to encourage future compliance. There is also the possibility of jail time. If you’re having problems with your custody schedule or would like to make a change, a family law attorney can help you with the evaluation process. 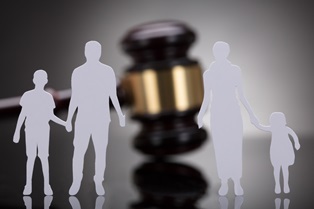 The attorney at the Law Offices of Molly B. Kenny have been helping Washington families with their custody problems and other legal issues for decades, so let us use our years of experience to help your family, too. Call us, or use our online contact form to arrange a private consultation in our Bellevue office today.